The destruction of the National Identity Register (NIR) and the personal data held on the controversial ID card system will cost about £400,000. The NIR was designed to hold the biometric and biographic details of ID card holders. But last May the ill-fated project was shelved. Destruction of the data will be carried out by a CESG accredited and approved supplier, securely and in accordance with established destruction policy, procedures and guidelines, said the government in a Parliamentary answer. The Identity and Passport Services will incur net costs of £5m this year in one-off expenditure and write-offs, including the secure destruction of the NIR. 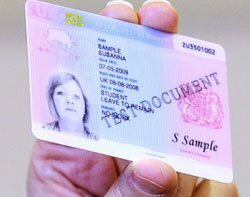 It estimates the cancellation of ID cards and the NIR will save of £86m over the next four years.